Each year, the Streaming Media Industry Sourcebook takes a look at the state of the industry, including a look at the shifting streaming service provider and product manufacturer landscape. One way to view the landscape is the Sourcebook's annual "Streamticker" article, which highlights mergers and acquisitions (M&A) activity from the previous year. In 2012, we're taking a mid-year look at the market, not only for M&A activity that might reshape the streaming landscape, but also for other announcements and technologies that may generate disruptive effects in the market as a whole. This "Game Changers" article is broken down in to three areas: M&A consolidation, fragmentation, and a potential premium content delivery disruptor. 2012 continues to be a year of consolidation, dominated more by service M&A activity than product acquisitions. Given that services generally evolve from hardware and software breakthroughs, it's not surprising that 2012's services M&A activity follows closely on the heels of 2011's hardware/software consolidation. Several key acquisitions in the first half of 2012 may generate game-changing outcomes within the next year. While the deal hasn't formally closed as of the time of this writing (mid-June), there don't appear to be any regulatory hurdles for Cisco's intended acquisition of NDS Ltd. Cisco is expanding its Videoscape line of products and services, of which Inlet Technologies was Cisco's major 2011 hardware/software acquisition, but the NDS acquisition is primarily about service provider reach into China and India. Speaking of content security, U.S.-based digital rights management services firm BuyDRM was acquired by South Korea-based Inisoft Ltd. The acquisition is interesting as an end-to-end play, as privately owned Inisoft's software development is primarily focused on delivering Android and iOS media players, all of which need digital rights management and content protection schemes. Inisoft will combine its current support for two DRM schemes adopted by MPEG DASH and the UltraViolet consortium -- OMA and PlayReady -- with BuyDRM's KeyOS rights management platform for delivery of content in a variety of fragmented video formats. 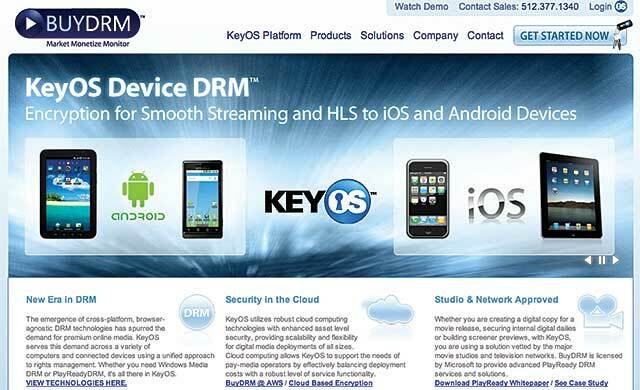 BuyDRM, a company that has been around since online video’s earliest days, brings its multiplatform KeyOS rights management to Inisoft’s stable of digital rights management offerings. Many in the U.S.-centric streaming industry may not have heard of either of these companies, but Rakuten's online presence as Japan's No. 1 e-commerce retailer makes the acquisition of Spain-based Wuaki.tv an interesting choice. Add to it the fact that Rakuten has acquired three other European companies in the past 24 months and is investing in companies such as Pinterest, and it's easy to see that Rakuten is setting its sights on dominating more than just its wealthy Pacific Rim island home country. Wuaki.tv has licensing deals with European and Hollywood studios, allowing it to act as a "video club" for the Spanish market. Yet its technology may power more than just a Spanish version of Netflix, as Rakuten now owns Buy.com, Inc. in the United States and Play.com in the United Kingdom. Speaking of the U.K., another retailer -- the world's third-largest by revenue -- has bought into online streaming. Just a few days after Rakuten announced the Wuaki.tv deal, U.K.-based Tesco acquired a 91% stake in We7 Ltd., an online personalized internet radio provider co-founded by music legend Peter Gabriel. With U.S.-based Rhapsody International acquiring Napster earlier this year, French firm Deezer expanding into the U.K. market, and Rakuten potentially leveraging the Wuaki.tv acquisition into the U.K. market, Tesco's entry into the fray comes at a point when audio streaming is rapidly growing in the U.K. According to The Official Charts Co., use of music streaming services such as Spotify and Rhapsody topped 2.6 billion streams in 2011. Labels are also more reliant on the streaming services for revenue: A recent BPI survey indicates streaming services account for 4.5% of U.K. music industry revenues, increasing more than 30% from 2010 to 2011, to £35 million (about $54.5 million) per annum. 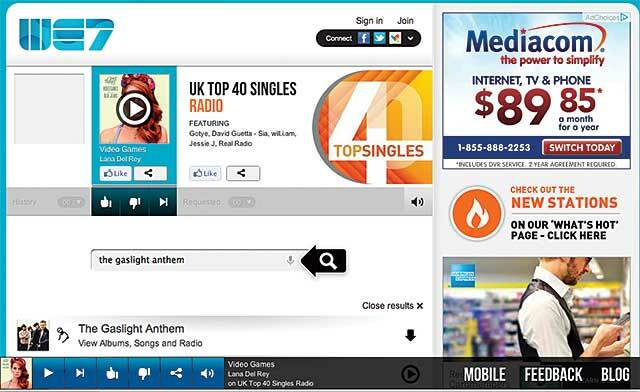 U.K. retailer Tesco’s acquisition of We7 demonstrated the increasing popularity of personalized music streaming services. Several formats that use HTTP as a delivery protocol, including Adobe's HTTP Dynamic Streaming and Microsoft's Smooth Streaming, are likely to be subsumed by the end of 2012 or the beginning of 2013 by MPEG DASH (Dynamic Adaptive Streaming over HTTP). Agreement on DASH as a consistent fragmentation approach for all H.264 HTTP delivery -- with the exception of Apple's HTTP Live Streaming, which uses the MPEG-2 Transport Stream in an HTTP wrapper -- is one of the biggest technology game changers in 2012. The importance of this agreement on a common format is akin to the agreement between CD and DVD manufacturers to work within a common standard, and DASH itself is now an ISO standard. 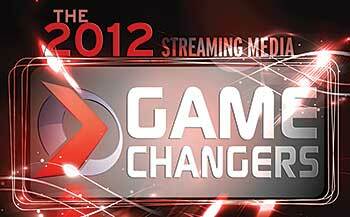 Following ratification of MPEG DASH in November 2011, previously competing companies kicked off 2012 by demonstrating complementary solutions. Several of these solutions were demonstrated at the Mobile World Congress (MWC) and National Association of Broadcasters (NAB) conferences, and companies as disparate as Adobe; Akamai Technologies; Ericsson, Inc.; Microsoft; Netflix; and Qualcomm, Inc. not only have begun to promote MPEG DASH but also to integrate workflow demonstrations that handle acquisition, transcoding, and delivery solutions across DASH-compliant workflow components, from encoders to media players. "It's time to move towards MPEG DASH," wrote Ericsson's David Price, shortly after MWC and just before this year's NAB show. "As my Ericsson colleague Giles Wilson mentioned in his recent keynote speech at the IP&TV World Forum in London, it's important to remember the internet is an experience rather tha[n] a technology." Growth of connected mobile devices. According to Price, the company predicts that there will be 50 billion connected devices by 2020. Growth of video-enabled mobile devices. Thirty percent of those 50 billion connected devices are expected to be video-enabled in the same time period. Those 15 billion video-enabled devices present a much bigger opportunity than traditional television. OTT is outpacing pay television in parts of the world. How big of an opportunity? According to analysis presented at NAB by Rethink Research Associates, growth of over-the-top (OTT) playback is especially hot in Europe. Principal analyst Peter White shows that while pay TV may reach 20 million European households by 2017, OTT growth will be almost five times that amount. Projections for OTT usage in Europe by 2015 place OTT at 87 million of the addressable 200 million European households. "This is an exciting time for television," said Price, echoing the point that TV is thriving, "and it's an important opportunity for operators and content owners to focus on value creation and leverage this connected world." If the industry will work together, MPEG DASH provides an opportunity for operators to change the economics of the OTT and mobile device delivery game, as DASH allows mass content delivery in two fragmentation formats (HLS and fMP4) and one delivery protocol (HTTP). But what about Flash? That's an interesting question. Adobe and Macromedia both originally pitched Flash as a way to add animation to websites, but the rise of Flash Video turned the Flash Player in to a full-blown video player. Recent products, such as Apple's iOS devices, don't support Flash, so Adobe pivoted Flash back toward animations and interactivity. Since the Flash Player has been so dominant for so long, any move toward the DASH standard would seem to come at the expense of the Flash Player. At NAB, however, Adobe presented its own game changer: an MPEG DASH prototype player "built on Adobe Flash Player" that plays DASH-compliant content within Flash. Given the ubiquity of Flash Player on millions of devices, it's quite possible Adobe will drive adoption of DASH to a large audience worldwide. "Adobe will support MPEG-DASH ISOBFF on demand and live profiles," wrote Kevin Towes, an Adobe senior product manager, in a blog post prior to NAB. In the DASH-264 recommendation, he wrote, "The content profile is similar to Adobe's HDS format and supports many of the performance objectives of the HDS format." The next game changer for DASH, which is currently dominated by fragmented MP4 (fMP4) encoding and segmentation techniques, will be inclusion of MPEG-2 Transport Stream. Work is under way to address this issue so that Apple can join the DASH bandwagon without giving up its massive established HLS userbase. While fMP4 and HLS are worlds apart in their approach to fragmented HTTP delivery, there's no reason to think that the two cannot co-exist within the DASH standard, in much the same way that MPEG-2, H.264, and VC-1 co-exist in the Blu-ray Disc standard. One company in the space just might be able to pull Apple in the direction of complete industry consolidation around DASH: Netflix. Netflix has had its fair share of streaming success, along with a very public business stumble due to its pricing changes for traditional DVD rentals, but it's one of the few companies that has successfully pulled off consistent delivery to Apple HLS-powered iOS devices as well as Android, Mac, Windows, and proprietary operating systems. 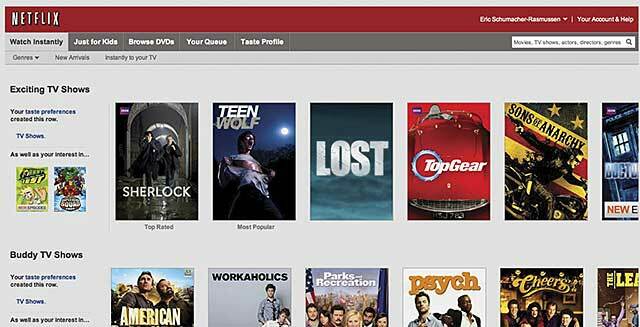 The company has been so successful in streaming premium content that early 2012 estimates state that up to 30% of all internet traffic in the U.S. during peak hours can be attributed to Netflix viewing. Other estimates say that Netflix subscribers (23 million as of February 2012) watch an average of 1 hour per day of content, with 42% of views coming from computers and the remaining from tablets, phones, set-top boxes, and gaming consoles. Netflix’s “watch instantly” streaming accounts for up to 30% of all U.S. internet traffic during peak hours -- enough that the company decided it was time to build out its own CDN. Given the growth in Netflix viewing, the company seems to realize it may just be a matter of time before local internet service providers (ISPs) begin to push back on the amount of traffic Netflix generates over last-mile data pipes. There has always been tension between ISPs and the major content delivery network (CDN) providers, as content served from a CDN provides no direct revenue gain to the ISP -- at least from an ISP's perspective. So what is Netflix doing to change the game, to mitigate any negative impacts its success is creating on the backs and backbones of local ISPs? The company is building out its own CDN, offering ISPs caching devices that will proactively store Netflix premium on-demand content. This isn't a competing play against other CDNs, as the boxes are only geared toward Netflix content. 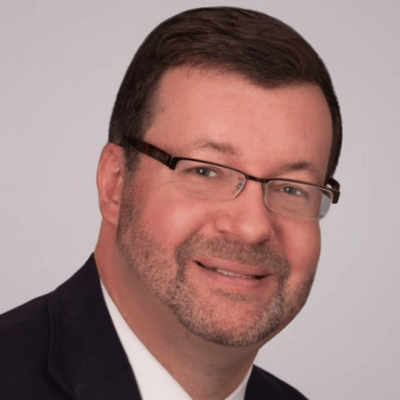 Mark Taylor, VP of content and media at Level 3 Communications, one of the CDN providers that Netflix has used during its meteoric growth, sums up the issue best in a blog post titled "Netflix Evolves." "[O]ur customers decide what is best for them," Taylor writes. "We try and maintain a diverse portfolio of networking products and services that makes us as agnostic as we can be as to the best solution for any customer at any time in their evolution. And in the case of Netflix we already helped them move from a self-built CDN (where we provided other network services) to a commercial CDN. And now we are in the process of helping them move back. In the intervening time things have changed massively for them (in a good way), for the industry and in the market as a whole." So is the move by Netflix to create its own CDN a trend? Not exactly. The news and pundit reaction around Netflix's decision to move to its own internal CDN reminds me of a scene from Raising Arizona. Lying on his prison bunk, H.I. McDunnough, known as "Hi" to his friends and incarcerators, listens to a cellmate drone on about eating crawdads. At one point, the cellmate says: "One day I decided to make my own crawdad" and then likens it to making popcorn, since he'd forgotten to add water to the pot. While the move to an internal CDN is certainly a game-changing defensive move for Netflix, a company that has the technical expertise to scale out to tens of millions of simultaneous on-demand premium content deliveries, the move to an internal CDN is not for everyone. Over the past 4 years, a number of other companies that have left commercial CDNs and built out their own CDN have since returned to using commercial CDN services. Still, with the advent of MPEG DASH and generic HTTP servers offering "plain vanilla" content serving, the industry as a whole may well see other premium content owners attempting to create their own internal CDNs -- at least for a period of time. In Raising Arizona, when Hi's cellmate ran out of crawdads to eat, he ate sand. One suspects that it won't be as dramatic a change if multiple companies leave to make their own CDNs, only to return to commercial CDN services. BuyDRM now has 'more tools in our toolkit,' as it faces an increase in demand for mobile rights management.